CRUISIN AUTOMOTIVE are dealers for Rocket Racing Wheels. 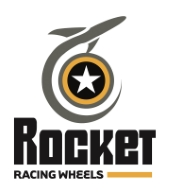 We have the biggest range of Rocket Racing Wheels on display, the volume of wheels we sell guarantees our wheels are the cheapest and we will beat any price. We can also ship Australia wide. The company fuses timelessness and modern design to create eye-popping wheels in every relevant width and diameter, designed to complement cars and trucks from any era. Rocket Racing Wheels also offers lug nuts and sockets, valve stems, hub centric rings, and wheel center caps.